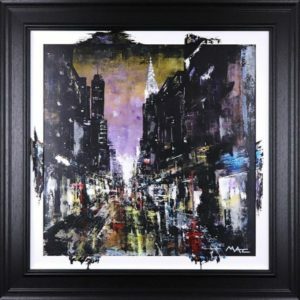 Mark paints using acrylics and has a distinctive, bold style. 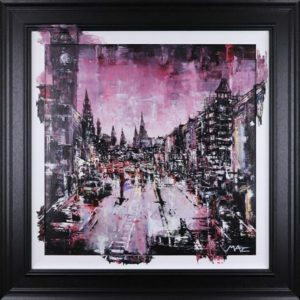 His work is inspired by architecture and moody cityscapes, he is fascinated by rainy nights and the way light plays in reflections. His work is created with little, or no, brush work, instead he uses a multitude of items including rollers and scrapers to achieve the textures and effects in his work. 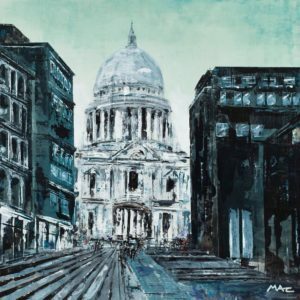 Although at first glance his paintings appear impressionistic, on closer inspection, it can be seen that he enjoys including small areas of detail which interestingly link the eye to the setting of the paintings. 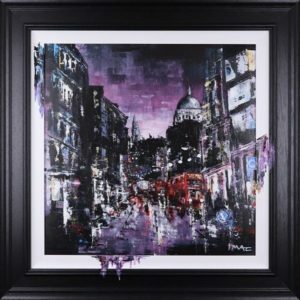 We will be exhibiting a collection of Marks work, both originals and limited edition prints on Saturday 2nd March.